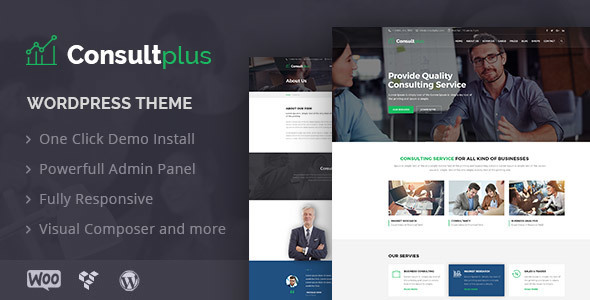 Tradeox â€“ Consulting & Finance WordPress theme developed specifically for all type of consulting business, finance business and startup company etc. Tradeox is best suited for consulting firm, corporate business, insurance company, loan, tax help, investment firm etc. Tradeox theme has beautiful and unique design that will be best suited for your online web presence. It has 100% responsive design and tested on all major handheld devices. Tradeox theme comes with necessary features for your online presence like gallery, blog, testimonial, team and appointment page etc. Tradeox can be a great choice for your online presence.